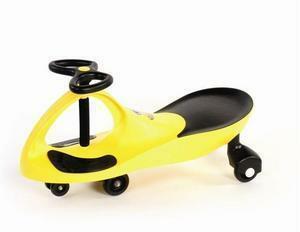 Plasma Car Yellow is self propelled by just turning steering wheel. Can only be used on smooth flat surfaces. If you order without an inflatable a $40 non-inflatble fee will be added.